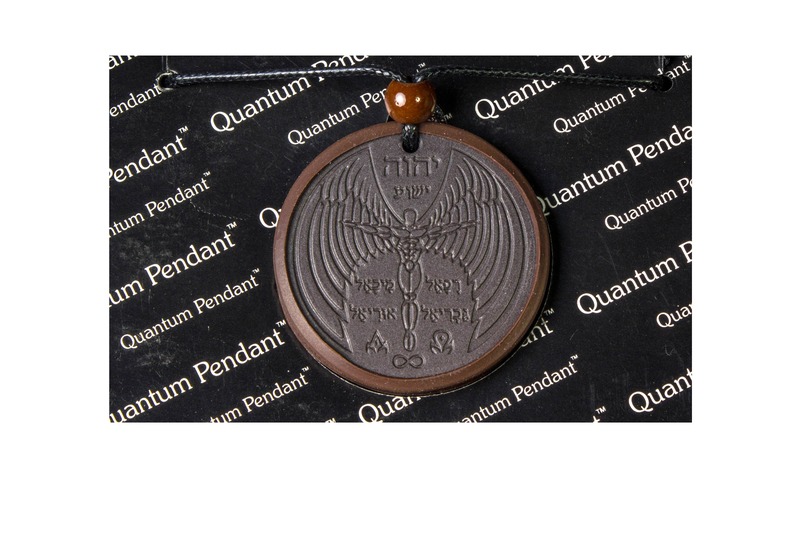 The beautiful and powerful Angel Pendant Design has a Archaic Angel Image. 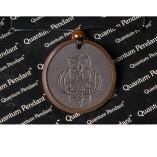 SALE: $32.95 NOW: $29.95! 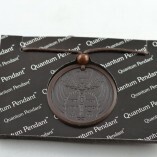 for a limited time! 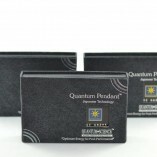 SKU: SEP-3. 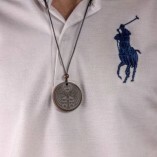 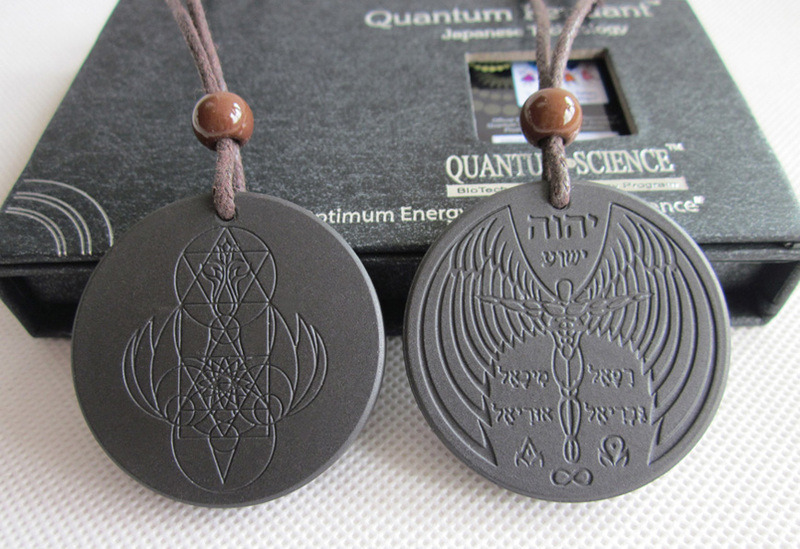 Category: Scalar Pendants. 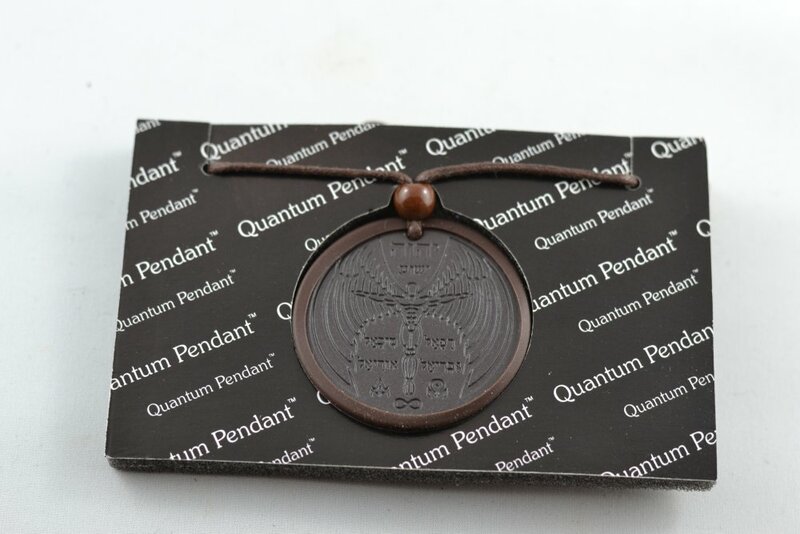 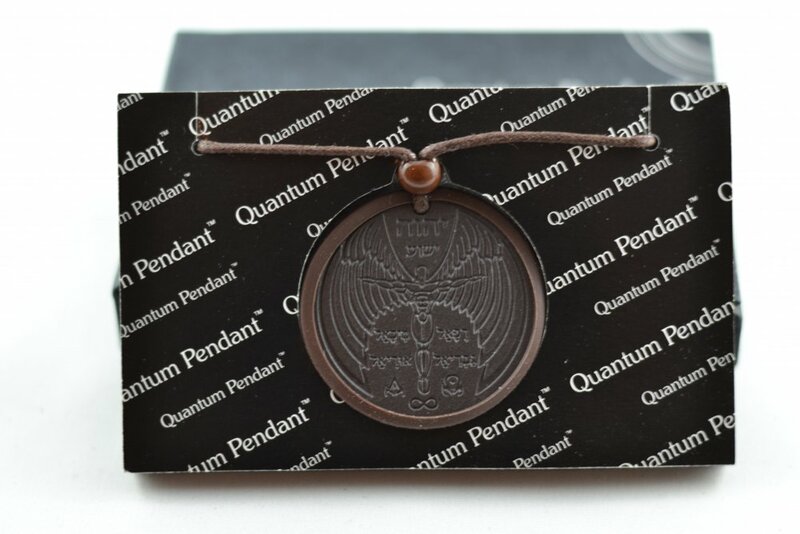 The beautiful and powerful Angel Pendant Design has a Archaic Angel Image on the front with a Shekinah Dove on the back. 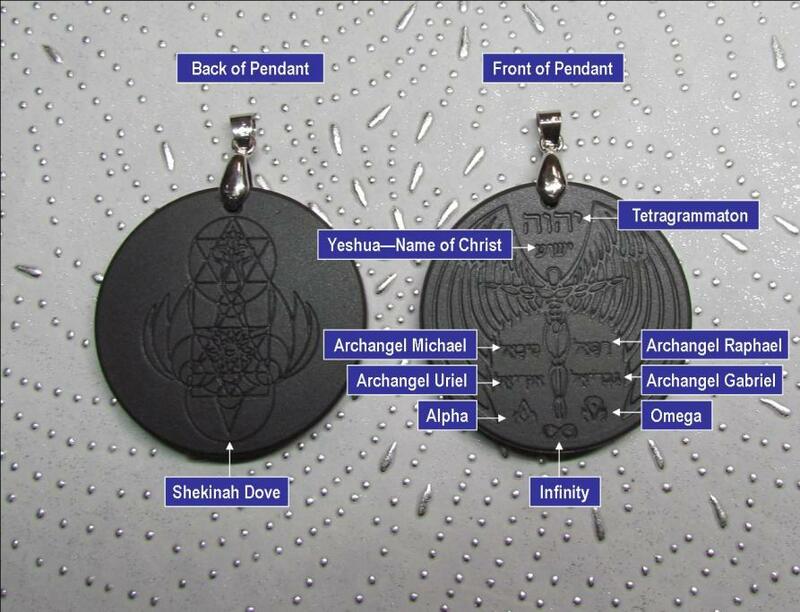 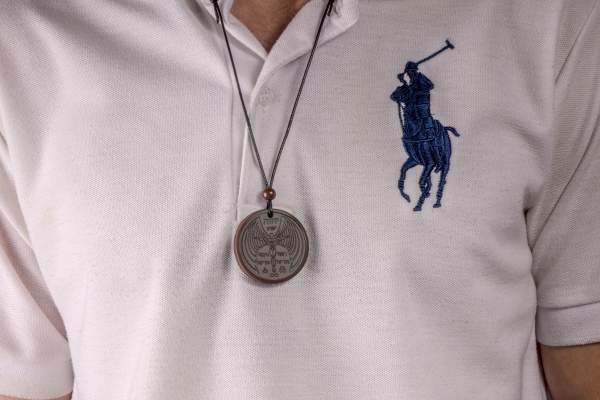 The front contains symbols representing Tetragrammaton, Christ, Archangels Michael, Uriel, Raphael, Gabriel and the Alpha, Omega and Infinity Symbols. 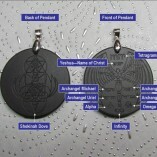 Although it contains these symbols, we insist it is still a non-religious design. 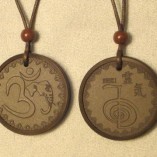 Similar to our OM Pendant, it contains protective and empowering symbology. 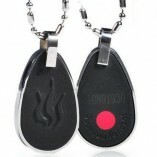 It emits approximately 5000 negative ions and contains Icelandic Volcanic Ash. 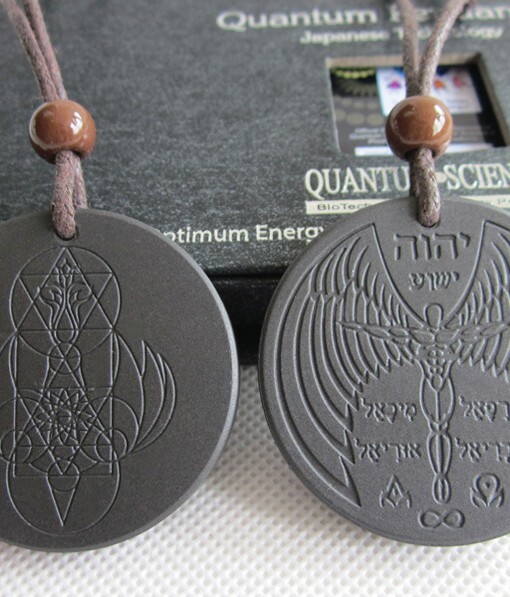 All our pendants will emit consistent measureable earth energy for life. 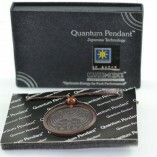 It comes with a rubber protector which has ALSO been infused with volcanic ash, emitting out approximately 1200 ions. 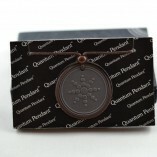 BONUS GIFT! 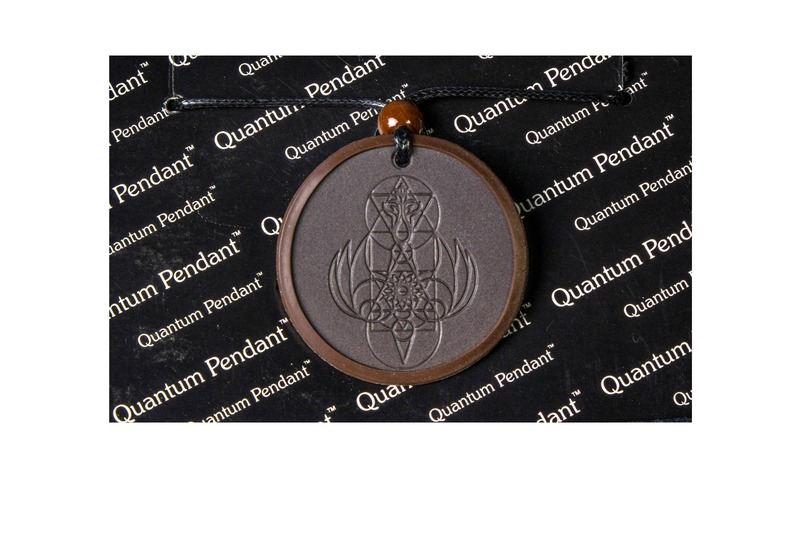 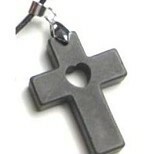 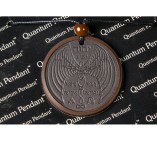 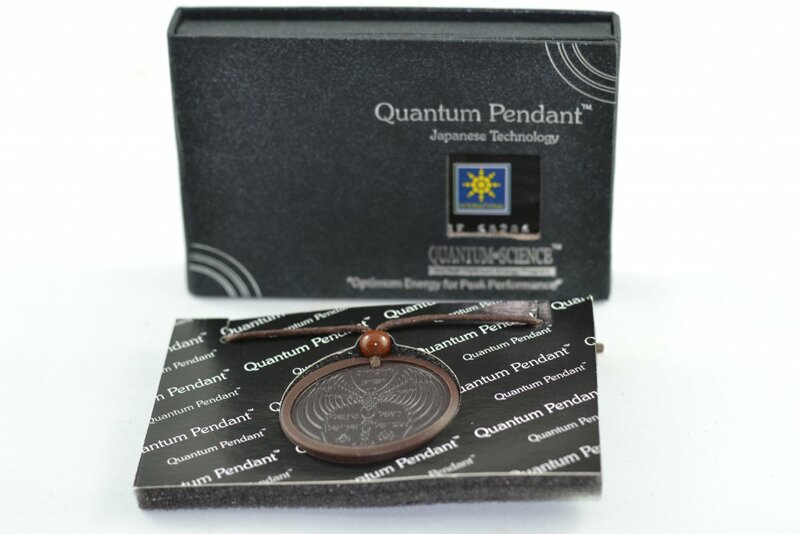 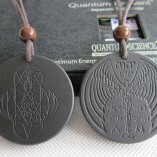 Receive an ion charged card containing Icelandic volcanic ash which emits 2800-3200 ions on average with your pendant! 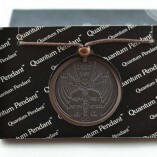 This card can be carried with you in addition to wearing the pendant for additional benefit! 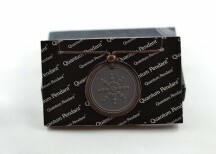 Scalar Stickers emit approximately 1500 negative ions and can be placed on your phone, laptop battery, tablet and any other electronic device you come into close contact with regularly!